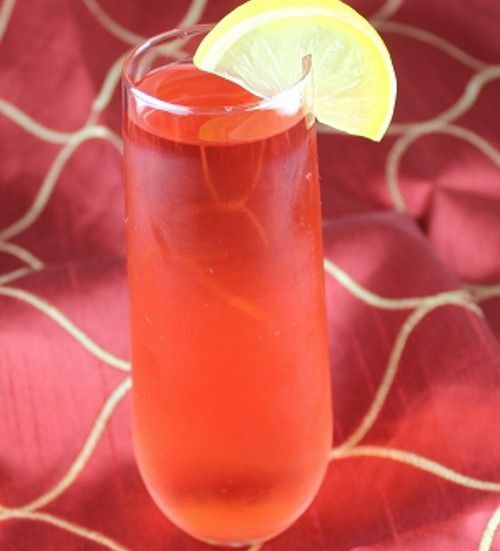 The Smooth Pink Lemonade is a pinkish-red cocktail that tastes mainly like cranberry and lemon with a touch of sweetness to balance out the tart. The overall effect is more of a tart/sour fruitiness than sweet. This drink makes a fun change from the Cosmopolitan because it’s similar but a bit less sweet and more refreshing. It can also be compared to the Vodka Cranberry – it’s like that, but jazzed up. It’s great for a night out. Fill a cocktail shaker halfway with ice. Pour in all the ingredients and shake until chilled. Serve in a tall glass with a lemon wheel.